Press the buttons on the hand to discover themes. Caroline Allertz has 30 years of research and teaching experience as a hand analyst/ hand reader. What began as a hobby blossomed into a second profession. The terms hand reading and palmistry often conjure up images of an entertaining psychic prediction of future love, luck and fortune. However, hand analysis as the meticulous study of the hands, the palmar ridges and palmar lines is an entirely different matter! Our hands and brain are intimately connected. In matters of touch, mastery, control, expression, gesture, strength, emotions and impulses; our hands are our agents. They correspondingly provide a visible record of who we are now, at this phase in our lives. The palmar lines can change throughout our lives and they provide a unique insight into our potential and our development. These lines change when we learn new skills, when we mine our talents or when we are challenged by circumstances to adapt. The art of interpreting and synthesizing the information in the hands requires years of keen observation, dedicated study and experience along with a critical attitude and well-tuned intuition. Much traditional wisdom in this area has been buried under layers of superstition and humbug. Many modern reference books still contain potentially harmful nonsense regarding lifespan, health, relationships etc. In the past decades valuable research work has been carried out by medical research faculties at universities worldwide. Caroline has incorporated these findings into her own system of hand analysis which she has tried, tested and fine-tuned in the past decades. She combines what she considers to be the best of both the Western analytical approach and Eastern tradition. What do our hands reveal? Our hands provide information regarding our basic nature; our customary way of thinking and of dealing with emotions; individual competencies; our affinity for certain activities and our current state of well-being. The influence of our working lives, our relationships and major life experiences can be seen in the network of hand lines. New lines emerge and existing lines can branch out, deepen, grow or fade. All these details provide valuable information on the recent past and the challenges of the present. By clarifying these developments Caroline can help stimulate a positive development and advise on alleviating a negative situation (such as exhaustion and frustration). A detailed hand print is made (with water based paint) of both hands which brings out even the most fine and delicate of lines. The prints may also serve as a baseline check in order to chart personal developments in following years. It can be very rewarding to watch stress lines disappear and see main lines become stronger or longer as a result of learning new skills. The main and minor palmar lines. A consultation takes 2 hours and provides detailed, verifiable information with special emphasis on character, talents, potential and current circumstances. Caroline uses her experience as a coach to point out successful coping skills, new avenues of opportunity and habits or thought patterns that may be hindering growth. Her clients are amazed at the accuracy of her findings and receive a boost to their confidence by seeing their best possible selves reflected in the map of their hands. A hand analysis can lead to a better understanding and appreciation of oneself and one’s abilities. This in turn helps one make fitting choices and wise decisions. 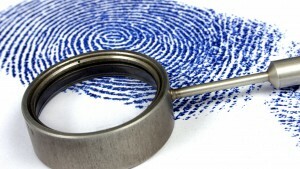 A hand analysis can be used as a personal assessment and is an excellent starting point for coaching or career advice. For Caroline’s coaching, click here. Partnership with acupuncturist and manual therapist Albert Allertz (1986-1999) in his practice for the treatment of patients with chronical pain. Approximately 1000 recorded and archived consultations (including prints) conducted in the Netherlands, South Africa, USA, UK and Australia from 1986 onwards. Knowledge gained from old and new publications. Caroline’s personal and extensive library with reference works on hand readings from Europe, USA, Canada, India, China and Israel. For further information or to make an appointment: click here.